Use the Save Key Recording command to save a key recording to a disk file. A dialog will appear that allows a name to be entered. 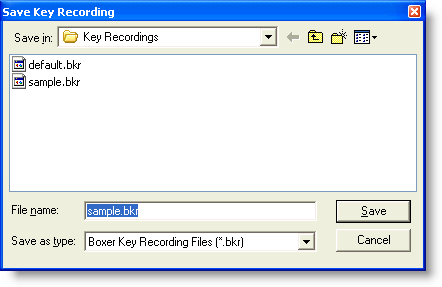 By default, key recordings are stored in Boxer's 'Key Recordings' subdirectory.